I guess physicists have to have fun too, right? 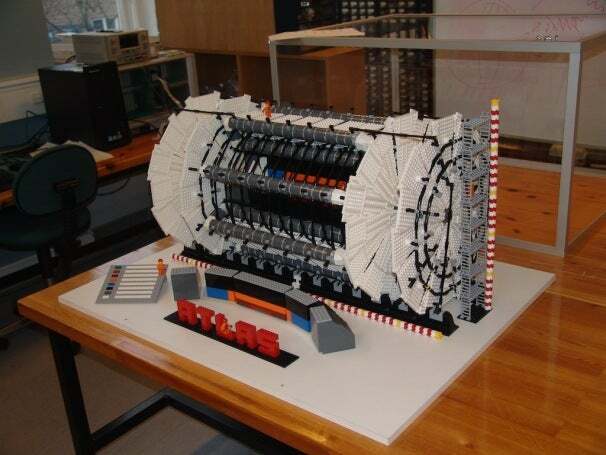 Sascha Mehlhase of the Niels Bohr Institute has recreated the Large Hadron Collider out of Lego, utilizing some 9500 pieces at a cost of about 200 euros. Sascha constructed this Lego marvel on weekends and after normal business hours. It’s built at about 1:50 scale, and it looks pretty awesome. I’m not expecting it to find the elusive Higgs Boson anytime soon, I’m afraid, but I guess you never know. This kind of crazy nerd-sorcery always fascinates me. Who would think to sit down and over the course of 30-odd hours build a particle collider in their spare time? I wouldn’t, and I will admit to being a bit of a nerd. I even have my Lego cred (Darth Vader’s TIE Fighter, I know, awesome right?) but this is way above my capability. What’s the craziest thing you’ve ever built out of Lego? I want to know, hit up the comments and tell me. Don’t let Jason fool you. That Darth Vader TIE is still in the box--unassembled. You can follow him on G+ and Twitter.